British citizens will no longer be able to travel freely to Europe without paying a "travel tax" or filling in visa forms under plans unveiled by Brussels. The European Commission has unveiled proposals for a US-style visa waiver scheme. Brussels officials set out the plans for a new system of security checks for countries which do not require a visa, in a move aimed at preventing terrorists entering the Schengen open-borders area. Travellers from visa-waiver countries outside the EU will have to pay a five euro (£4.29) fee and complete an online form under the new system. 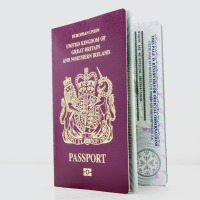 Campaigners seeking to retain close links to the EU warn that the European travel information and authorisation system (Etias) would represent a new "hidden cost" to Brexit. The Commission hopes Etias will be up and running in 2020, by which time the UK will have broken away from the EU under the Brexit timetable set out by Theresa May. Labour MP Stephen Kinnock, a supporter of the Open Britain campaign, said: "Brits travelling to the continent for their holidays will be dismayed at having to pay a fee for something we're used to getting for free. "Nobody voted for more expensive holidays and an exemption for British travellers to Europe should be something we can negotiate. "This is yet more evidence of the hidden cost of Brexit." The automated system cross-checks travellers against visa, criminal and stolen document databases, which the Comiission says will provide more security. Home Secretary Amber Rudd will discuss the proposals at a meeting with her European counterparts on Friday. Sir Julian King, the security union commissioner, said: "Terrorists and criminals don't care much for national borders. The only way to defeat them is by working together effectively. "Etias will help do that: by spotting problem individuals and stopping them from coming, we'll enhance Europe's internal security." To keep the cost of travelling abroad down, holidaymakers can take out annual travel insurance.